In its quest to host an upcoming Olympic Games, Los Angeles—which just won the honor for 2028—has been actively wooing the International Olympic Committee. Strengthening the city’s bid was the fact that very few new buildings would need to be constructed; many of the facilities built for the 1984 Games are still in use, and the city has no shortage of stadiums to house huge Olympic crowds. The lifespan of Olympic buildings, and sports arenas in general, has been a hot topic in recent years, with facilities in Beijing, Athens, Rio de Janeiro, and other former Olympic cities falling into disrepair and disuse. One challenge is the complex, radical modern architecture often used in these structures, which presents unique conservation needs. 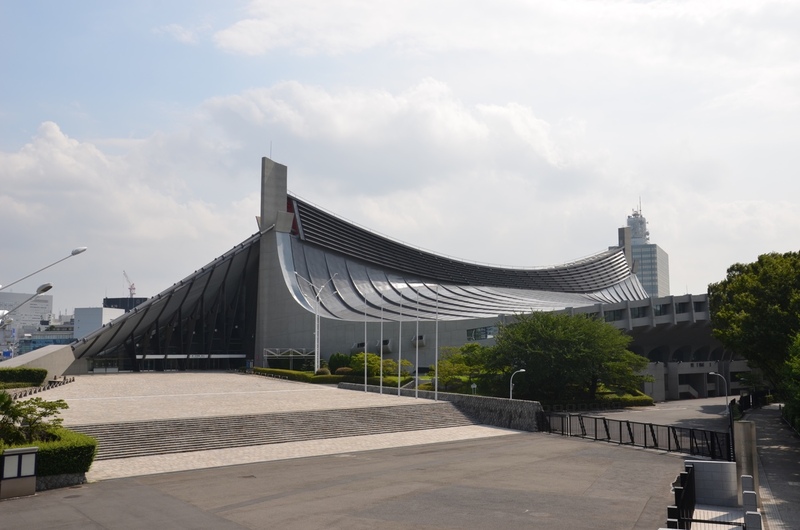 Japan’s Yoyogi National Gymnasium and Italy’s Stadio Flaminio—both used during their countries’ respective Olympic Games in the 1960s—are two examples of exceptional modern architecture in need of conservation. The Getty Foundation’s 2017 Keeping It Modern architecture conservation grants are offering another chance for these buildings to welcome a new generation of athletes and sports fans from around the world. In the years following World War II, the architecture of Kenzō Tange represented the reemergence of Japan into the world economy, and displayed the country’s singular approach to modern design. Tange, who won the Pritzker Prize in 1987, was for decades the preeminent architect of Japan; his projects included the Hiroshima Peace Center, numerous government buildings, and the Osaka Exposition of 1970. He and his circle developed an architectural movement known as Metabolism, which dictated that city planning should mimic a living organism, and that structures should not remain static, but be designed for flexibility as populations increased. The announcement that Tokyo would host the 1964 Olympic Summer Games was a sign of Japan’s economic growth and return to the world stage. Tange was tasked with designing a gymnasium for the games, and created a graceful, technically advanced set of buildings that embodied his architectural philosophy. 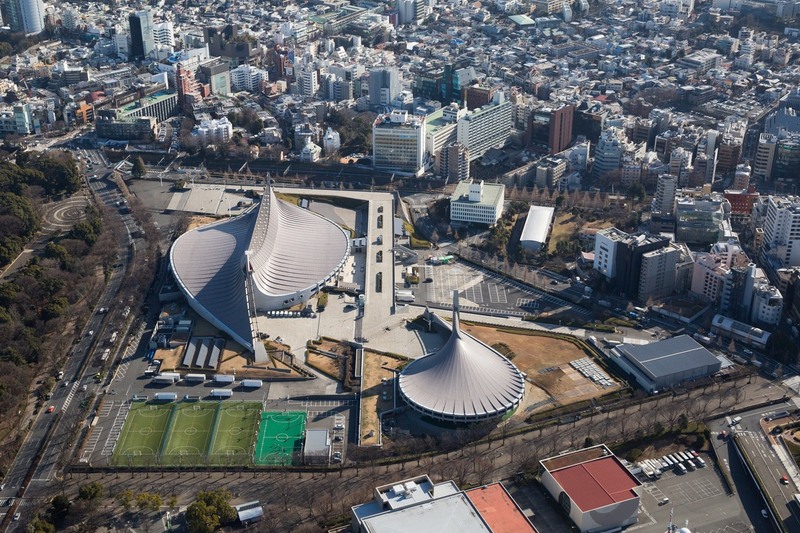 Viewed from above, Yoyogi National Gymnasium looks like a massive sea creature that has reached land. Its sweeping suspended roof (at the time the largest in the world) is made possible using steel cables that evoke the spines of a shell, and the roof itself seems to undulate, even though it is set in concrete. While modern in appearance, the asymmetrical gabled roof also evokes a Japanese Shinto shrine, adding a strong national identity to the structure. The building is a feat of engineering, still inspiring architects and visitors to the site over 50 years after its construction. 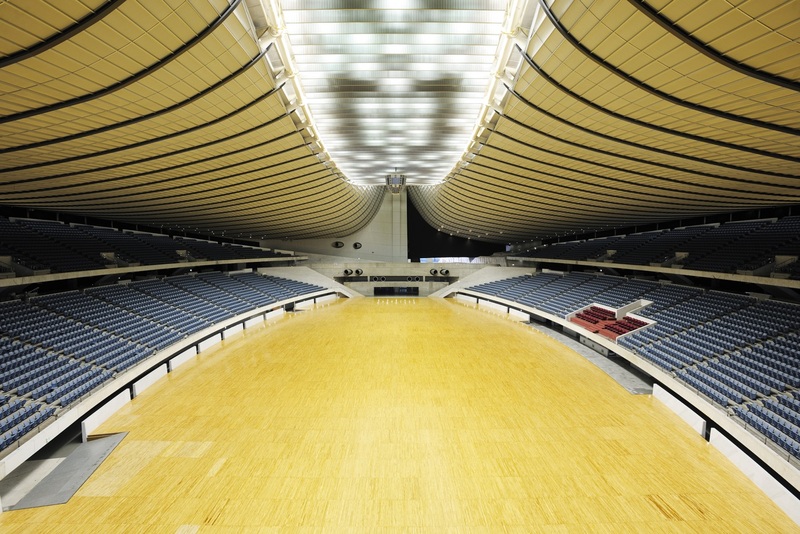 In 2020, Japan will host the Olympic and Paralympic Games and, once again, Yoyogi National Gymnasium will be called upon to host indoor sports competitions. To comply with current safety standards and prepare for the games, the gymnasium will be closed for retrofitting over the next few years. To ensure that any changes meet heritage standards, the Japan Sport Council will use its Keeping It Modern grant to publish a detailed study of the gymnasium, including archival materials about the building and its architect, the materials and structural innovations used in its development, and functional needs for today’s visitors. 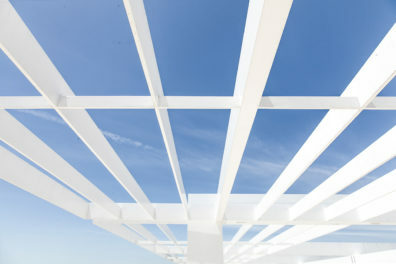 The project team includes distinguished architects, scholars, engineers, and advisors, such as Fumihiko Maki, Tange’s student and a fellow Pritzker Prize winner. 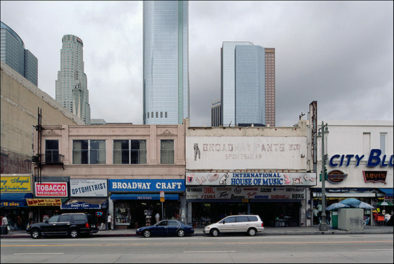 The team will investigate the stability of the building’s concrete, and the condition of its signature roof. The project will result in one of the first conservation management plans for modern architecture in Japan, and will be used as a road map for future conservation projects in the country. 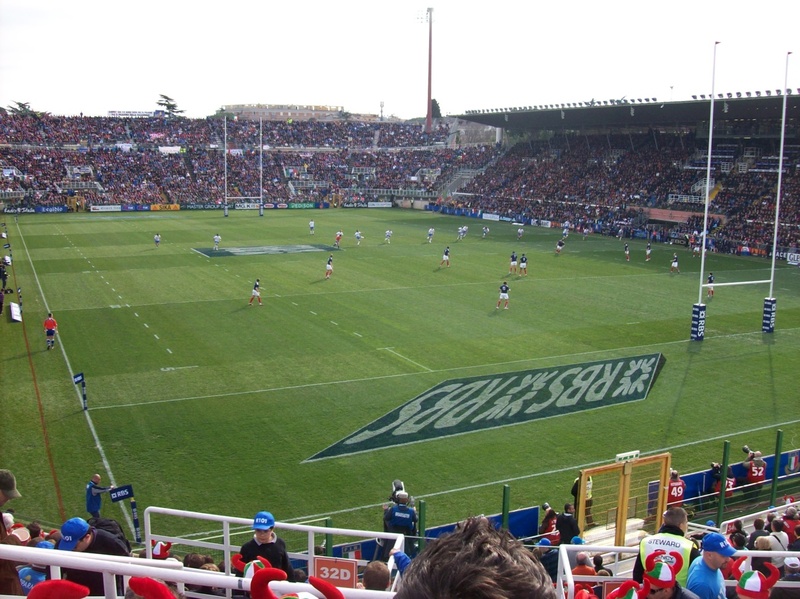 Rome’s Stadio Flaminio has had a long life as a sports and entertainment venue, hosting the World Cup, multiple Six Nation rugby tournaments, and musicians such as David Bowie, U2, and Michael Jackson. Originally constructed for the 1960 Olympic Summer Games, it is a testament to the architectural and engineering prowess of Pier Luigi Nervi and his son, Antonio. Made entirely of reinforced concrete, the building is based on a system invented and patented by Pier Nervi specifically for the stadium. Having few precedents to draw on in the designs of other modern buildings, Pier and Antonio were challenged to create a wholly distinctive structure using their own experience, intuition, and superior project management skills. The stadium was decommissioned in 2011, but there has been renewed interest in refurbishing and upgrading the structure so that it can host events once again. The stadium has faced severe deterioration due to water infiltration, plant growth, and degradation of its original materials. 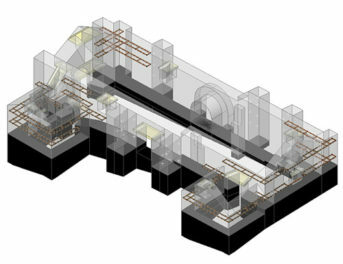 The Keeping It Modern grant will aid in the historical, technical, and scientific analysis needed to create a Building Information Model (BIM) that offers a 3D digital model of the site. Once the degree of damage to the building has been determined, a team of specialists will create a long-term conservation plan for the site. The plan will address the creative uses of concrete in the building, including the in situ cast concrete of the structural frame (liquid concrete that is poured into forms at the building site), the stadium’s prefabricated concrete grandstands, and its vast canopy. 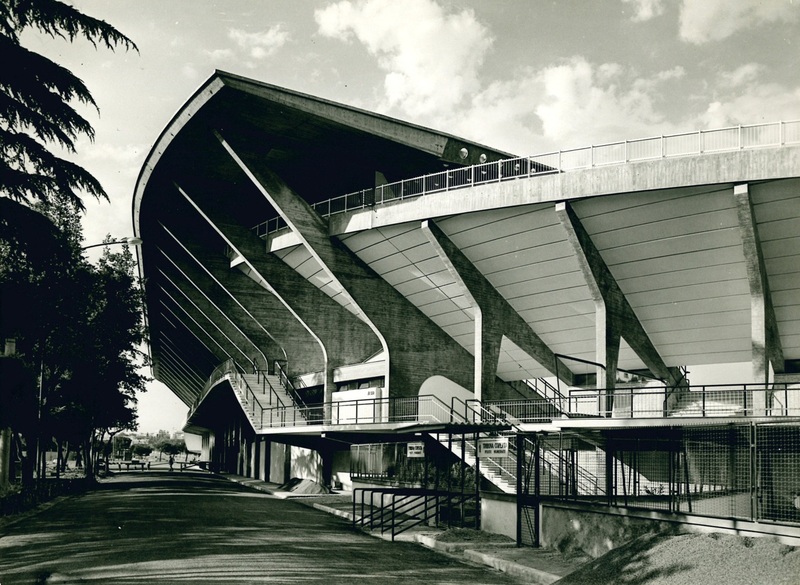 The completion of the project is scheduled for 2019, which also marks Stadio Flaminio’s 70th anniversary. The conservation of this and other Nervi projects has traditionally been a challenge because there are few examples of the renovation of comparable modern buildings. However, other recent Keeping It Modern projects such as the conservation of the Sydney Opera House and Miami Marine Stadium are offering new insights into the best practices for such large modern sites. As the grant initiative grows, the stewards of historic modern buildings around the world continue to gain valuable insights and develop best practices to protect their own architectural gems.